Wyoming Bison & Buffalo Hunts | Hunt Bison On Private Land! Hunting bison and buffalo in Wyoming can be a great experience, but, unfortunately, there are restrictions in place that limit the number of hunters who will be able to hunt a buffalo. What this means is that for many hunters, their dream of hunting a buffalo will remain just that, a dream. The high cost and limited number of buffalo hunting licences will continue to prohibit many hunters from ever harvesting a buffalo. In addition to restricting the number of hunters, Wyoming also has restrictions in place if you've hunted bison or buffalo in the past. 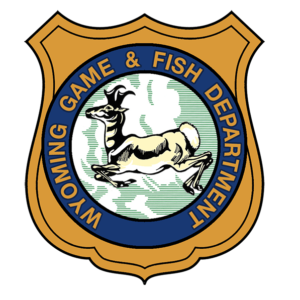 According to the Wyoming Game and Fish Department, if you how harvested a wild bison you will not be able to apply for another license in a future year. If you've harvested a female or calf bison you will be unable to apply for another hunting license for the next five years. only certain areas allow legal buffalo hunting. That being said, the bison and buffalo on Wyoming land often travel between these hunting areas, meaning that if you track, shoot and harvest a buffalo, even with a license, and that bison left the area you are allowed to hunt in you will be in violation of Wyoming state laws and held responsible. You may be fined or jailed if found guilty. At Hi Mountain Bison & Buffalo Hunts, we take pride in offering an affordable solution for Wyoming hunters. Our guided hunting tours are available year round on private land, and we allow you to shoot and harvest as many bison and buffalo as you would like. We have no limits and allow our visitors to harvest bulls, cows, and yearling buffalo. Simply reserve the number of bison you would like to hunt, and we will gladly accommodate you.